Type 1 diabetes is an autoimmune disease that destroys insulin-secreting beta cells of the pancreas. It affects approximately 1.25 million people in the United States, and thanks to previous research there are treatments for the disease, making it a chronic but manageable disorder. Researchers at UCSD hope to take type 1 diabetes research a step beyond development of treatments; they hope to answer some of the questions about what causes its onset. According to a UCSD press release, two research teams are tackling the condition from different angles. One effort, led by Maike Sander, MD, professor in the Department of Pediatrics and Cellular and Molecular Medicine, and Kelly Frazer, PhD, professor in the Department of Pediatrics, were awarded a $3.3 million research grant to discover the genetic origins of type 1 diabetes. Genetic risk factors have been identified in previous studies, but because the disease is so complex, there are many genetic variants amond people with diabetes. This study will focus on identifying "where the genetic risks are expressed, what variants are associated with them and what cellular processes are regulated." To do this, the team plans on using a combination of the latest computational methods, high-throughput molecular assays, and human pluripotent stem cells-based cell models. A second research team at UCSD also recently received NIH funding to help advance understanding of type 1 diabetes. A $1.9 million innovator award was given to Neal Devaraj, PhD, associate professor in the Department of Chemistry and Biochemistry. Devaraj is focusing on developing molecular imaging methods to measure beta cell numbers in the pancreas. These tools would be used to monitor the progression of type 1 diabetes, the effectiveness of treatment and to track the viability of transplanted cells. Devaraj hopes that the improved imaging technology will be able to inform physicians if a patient is at risk of developing type 1 diabetes before onset of the disease. 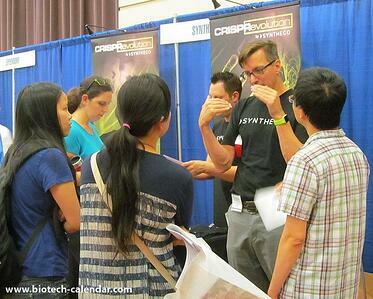 On February 3rd, 2017 Biotechnology Calendar, Inc. will be hosting the 42nd Semiannual Biotechnology Vendor Showcase™ at the University of California, San Diego. If you are a laboratory equipment supplier, this is an excellent opportunity to meet face to face with life science researchers at this $1 billion research market and educate them about your lab or chemical supply products. 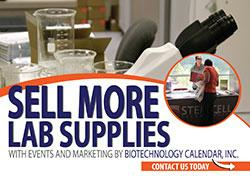 Call us at 530-272-6675 or click on the link below to reserve a space and increase your scientific sales in 2017.